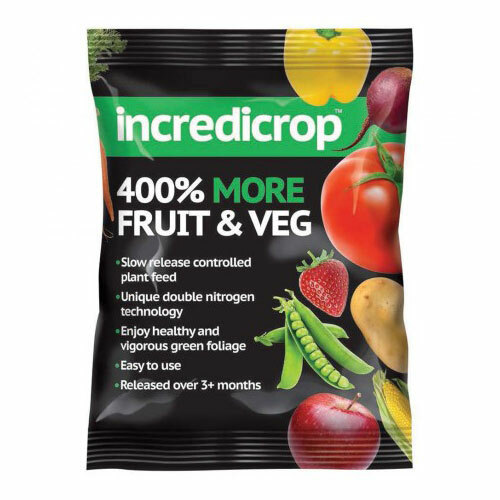 Incredicrop® 100g Pouch 400% More Fruit & Veg brings all the benefits of incredibloom® to fruit and veg crops, providing easy to use slow-release controlled feed for edibles. New Incredicrop® plant fertiliser utilises unique double nitrogen technology to achieve up to 400% more fruit and veg growth. Trials have proven that Incredicrop® also boosts flavour as well as harvest yields.